I'm not at home this weekend, even more of a perfect opportunity to use my Ada Rose wash bag. I'm like most, can't travel light, I bring everything including next doors kitchen sink. You know you just think "What if I need this?" knowing full well, I don't but I just might. Therefore I'm the travelling bag lady, normally I just throw everything into a bag and be done with it. I've found having toiletry bags help a...lot. 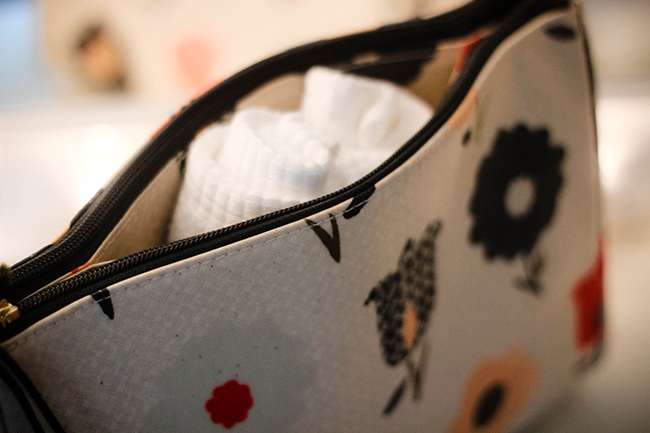 When I was given the chance to review the Ada Rose brand where all the bags are designed by the lovely & friendly Lisa Levis (nee Stickley) I was spoilt for choice and decided seeing as I carry my life, I should have a big bag and see what I could carry. Well I can carry everything I need & even the stuff I don't need. Of course I bring all my essentials, wash cloth, cleanser, facial brush, toothbrush, toothpaste, roll-on, serum, moisturiser, tea tree oil, moisturiser and body wash...oh aloe vera gel. Then whatever isn't essential comes along. The bag has two large zip compartments and a middle slip pocket that has a magnetic closing. Inside one zip compartment there's a pocket inside there to put whatever you need, I normally put anything, time of the month related, you know, discreetly out of the way. The other compartment also has a small compartment just underneath the logo stitching, medication strips could fit inside here. While I have this in my bag, I can then continue to have everything in one place! Seeing as I don't wear make-up daily I don't need to worry about that so much while away as I am my other essentials. The bag itself can be wiped clean if needed, it's described as a hard wearing PU coated cotton, it doesn't give off this shiny look as previous wash bags I've had. It's more on the expensive side of £50 but if you are on the move regularly it's an investment, as I don't see this wearing thin anytime soon. With Christmas on the horizon soon, you can find a range of other Ada Rose products for gifts or as a treat for yourself, they make a nice addition to the bedroom, bathroom and handbags! 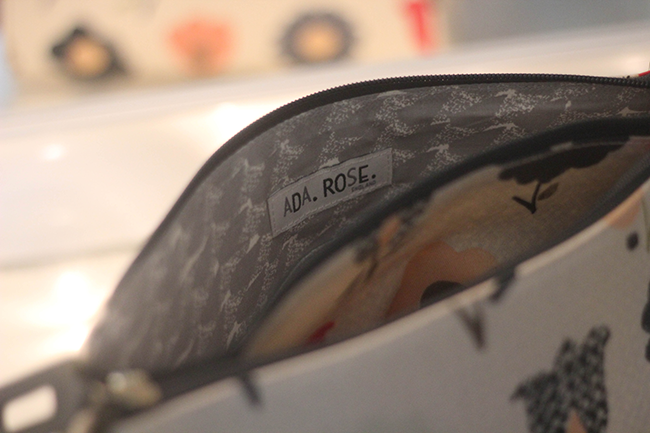 Ada Rose such a gorgeous name makes me think of a young innocent British girl, lol I don't know, pretty name! Are you like me, carry the world when travelling? What do you choose to carry your essentials in? Wow the bag is really gorgeous!